In a world first twist, worlds will collide as one contestant from Big Brother UK, Big Brother USA, Big Brother Italy and Big Brother Australia will be playing in Big Brother Canada’s upcoming fourth season. For the “world first” twist, viewers will be able to vote for one male and one female to enter the Big Brother Canada House and play the game as a Housemate. 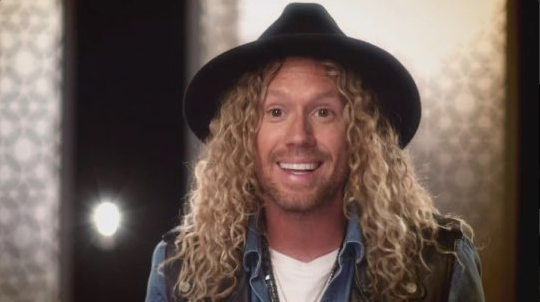 Jase knows his way around the USA format, appearing in Big Brother’s fifth season in the US and returning for Big Brother USA’s All Stars season. Jase would be most remembered as the leader of the Four Horsemen alliance and was immediately evicted once the alliance decimated. Jase will also be remembered as the first USA contestant to play victim of the now common “backdoor” strategy. Nikki Grahame may have been evicted twice during Big Brother 7, and then re-entered the House for Ultimate Big Brother in 2010, but Nikki Grahame remains in our hearts as one of the best Big Brother Housemates ever. Her diary room tantrums cemented her place in Big Brother history and of course we’d love to see more. Nikki finished in second place during the 2010 series, Ultimate Big Brother, proving she really is one of the best Housemates ever. In 2015, Nikki entered the Big Brother: Timebomb house in the UK as a legend for three weeks, once again proving Big Brother is second nature to her. In 2016, Nikki’s Big Brother Canada entrance will become her fifth time to enter the Big Brother House, making her the worldwide contestant who has spent the most time in a Big Brother House. Tim Dormer is the game playing, entertainer and winner of Big Brother 10 in Australia. Notorious for his antics and always being one step ahead of the game. Tim lasted a whopping 101 days in the house, participating in the longest series of Big Brother Australia to date. But can Tim survive the Big Brother Canada House? Veronica is a hostess and model, she is notorious for her controversial antics in the fourteenth series of Big Brother Italy. Veronica was the second contestant to be evicted from the Big Brother house in her local edition, will she be able to stake her claim in the Big Brother Canada house? The two international Housemates with the most votes at the end of the voting period will move into the Big Brother House and play the game. To vote for the two Housemates you’d like to see enter the House head over to bigbrothercanada.ca and cast your votes. One vote must be for a male while the other for a female.